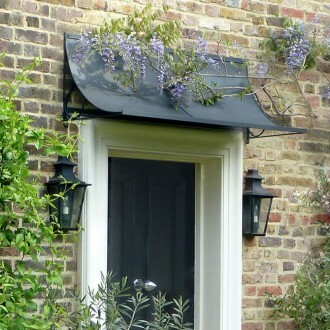 April is an ideal time to create a beautiful entrance way by adding a door canopy. Whether to protect yourself from April showers or to add character to your home our range of hot dip zinc galvanized steel canopies are handmade in our workshop near Bath to your exact specification. We can paint any product in any special colour of your choice – just get in touch on +44 (0)1225 851577.